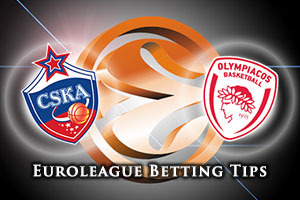 These two teams clashed in the semi-final of the Final Four last season and Vassilis Spanoulis was the difference, pushing Olympiacos into the final. The Russian side hold a 13-3 record so far this season, with a 4-2 record in the Top 16, while Olympiacos are 3-3 in the Top 16 and 11-5 for their European campaign so far. Both of these teams are massive European names, and this could be a close encounter in Moscow. 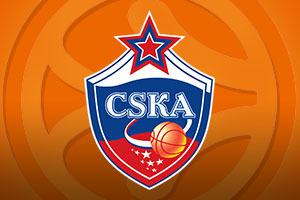 Given that CSKA Moscow are the leading scorers in the Euroleague, with an average of 90.3 points per game, there is no surprise in knowing the hosts will be pushing hard for the win from the off. When you have players like Nando De Colo and Milos Teodosic, the first and third ranked players in the Top 16 index ranking, it would be silly to play any other way. Aaron Jackson is set to be involved in this game and he could have a huge impact on the match if he finds some form but most fans are eager to see the clash between De Colo and Spanoulis, which could be one of the battles of the season if both players hit top form. There is no denying how vital Spanoulis is for Olympiacos, not just this season or last campaign but over his entire career with the club. He faces a tough challenge this week but if he can shut down De Colo, he will be one of the few players to do so this season. Georgios Printezis is another big player for the away team and given that he grabbed the MVP last week, he will be coming into this game with a great deal of confidence. The fact that both teams have big game players should ensure that this is a game that European basketball fans make the time to watch. The bookmakers think the hosts will win this game with a big scoreline so look to take CSKA Moscow at -9.5, which you can find at odds of 1.90. For the Over/Under market, there is a great deal to be said for going OVER 159.5, which is available at odds of 1.90. Bet Now!